Machines at exit only take credit or debit cards. ​Unless you have a valid overnight Marina issued permit properly displayed. Your ticket issued at the entrance(s) DOES NOT allow any vehicle to be parked on site after 10pm. ​New parking passes will be mailed to your listed mailing address within 7-10 busies days. To receive a $2.00 discount for renewing a previously purchased pass you must visit the Marina office during office hours. Discount NOT available over the phone or online at this time. 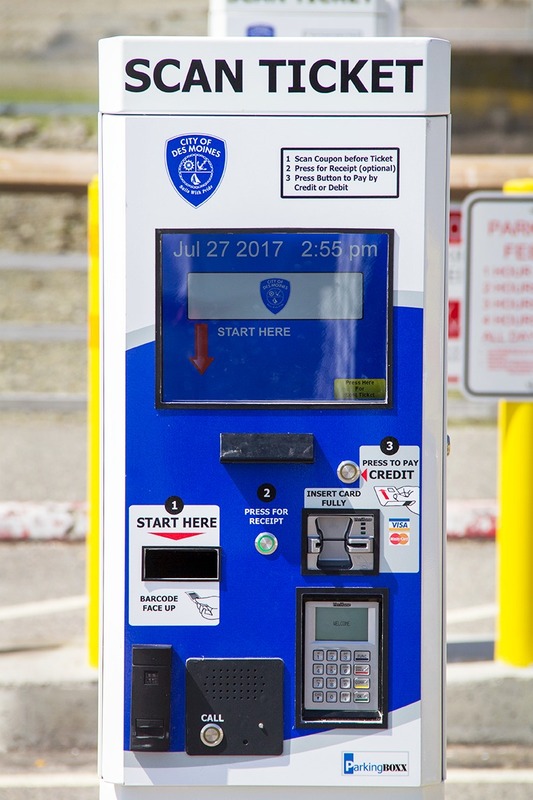 To ensure our Marina and Beach Park waterfront remain available as the wonderful recreational area at the heart of our city, Paid Parking goes into effect on Monday, June 12, 2017. We want residents and visitors to understand the reasons for this new fee and how it will work. Marina maintenance and operations are supported by a separate Enterprise Fund paid for by moorage fees. City property and sales tax do not contribute to this fund. The State Department of Natural Resources charges the City $120,000 annually to lease the tidelands breakwater area. This charge equals 20% of the current Marina net operating revenues that is not available to reinvest in the Marina. 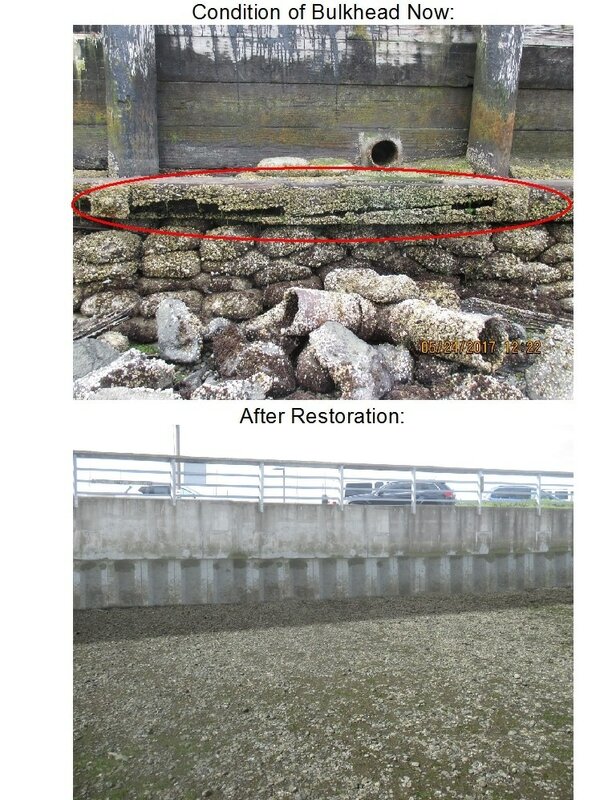 To maintain the integrity of critical infrastructure, the Marina bulkhead requires significant repair to prevent catastrophic failure. Costs for these repairs are estimated at $12 million. While many Des Moines residents enjoy our waterfront, close to 70% of visitors to the Marina are non-residents. Maintenance, repairs and infrastructure replacements require sustainable revenue sources. The City has requested assistance from other public sources, but adequate support is unlikely. 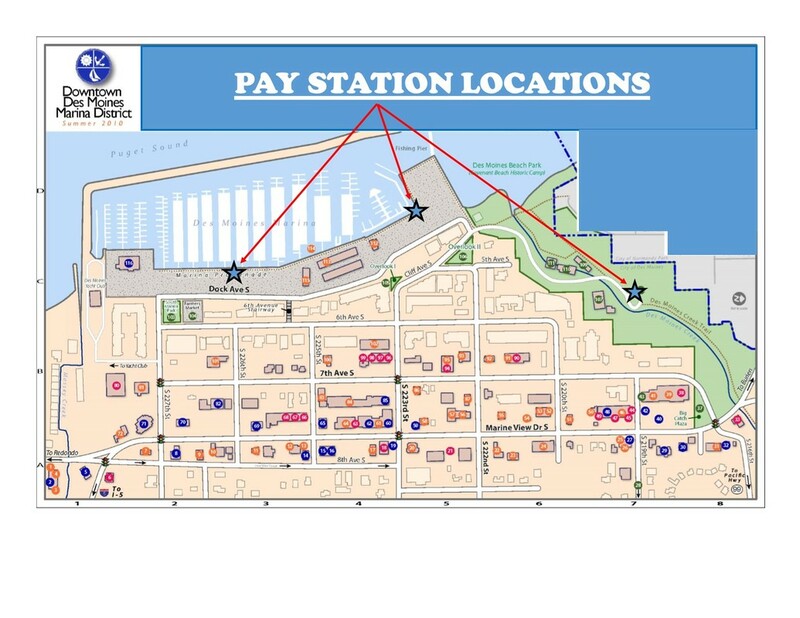 Following a year of study, investigation and many community meetings, we have concluded that a paid parking system would be the most equitable for both residents and regional visitors to the Marina and the surrounding beach and park areas. One significant benefit of regulating parking will be to control off-hour noise and visitors engaging in illegal conduct late at night. The Marina parking lot also serves as a resource for Emergency Management operations, the north parking lot provides access for helicopter, boat and vehicle access critical to providing supplies and manpower to an emergency incident when necessary. ​Marina Tenants: Designated parking is included in moorage fees for Marina tenants. Tenants have access to the North and South Lots only. Des Moines Resident Pass - $30/ calendar year. ​Residents will have access to the North, South, and Beach Park lots between 5am-10pm daily (access cards will NOT work after 10pm). Valid drivers license required to purchase. Non-Resident Pass - $60/ calendar year. Non-residents will have access to the North, South, and Beach Park lots between 5am-10pm, daily (access cards will NOT work after 10pm). Valid drivers license required to purchase. Overnight Fishing Pier Pass - $25/ quarter. Quarters are based on a calendar year. These passes have 24 hour access to the North lot only. Valid fishing license, drivers license, and vehicle registration all in the purchasers name required.​ (1) PASS PER REGISTERED VEHICLE. Farmer’s Market Days will validate parking for 2 hours, with a purchase. See Market booth for validation coupon. Anthony's Homeport validates their customers. Take a ticket from the machine and bring it with you to be validated inside the restaurant. Quarterdeck will validate parking for 2 hours, with purchase. You can purchase your 2019 pass AFTER 12/15/18. Methods of payment accepted: Cash, Check or Visa/MasterCard. Disabled parking is free in the designated spaces available outside of the paid lot. The frequent user pass is similar to an access card or Orca Card and has a computer chip inside it. Do not take a ticket and do not insert the card into the machine. Wave your card in-front of the reader (circled in the picture to the right). The card needs to be within 2 inches of the reader. You must scan your card upon every entry AND exit. (see picture for scanner location - even if gate is open. Your card will not allow you to enter a second time until you exit the lot using the same card (and vice versa). ​Unless you purchase a fishing pass your access card will not work before or after these hours. If any remaining balance is due you can pay with a Visa or MasterCard in an exit lane or pay with cash at one of the pay stations. (note: the Cash Pay Station will give you a receipt IF you select that option. Your receipt is not your ticket out. After you pay, keep your now validated ticket that you took on entry to use to exit. You will have 10 min to exit lot after paying. If you would like to know more about paid parking please read these articles published in the Des Moines City Currents.